In the tension between competing ideas of authority and the urge to literary experiment, writers of the High Middle Ages produced some of their most distinctive achievements. 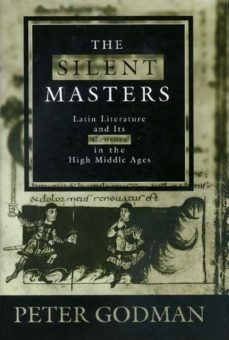 This book examines these themes in the high culture of Western Europe during the eleventh and twelfth centuries, showing how the intimate links between the writer and the censor, the inquisitor and the intellectual developed from metaphors, at the beginning of the period, to institutions at its end. All Latin texts--from Peter Abelard to Bernard of Clairvaux, from the Archpoet to John of Salisbury and Alan of Lille--are translated into English, and discussed both in terms of their literary qualities and in relation to the cultural history of the High Middle Ages. Not a proto-Renaissance but part of a continuity that reached into the Reformation, the eleventh and twelfth centuries witnessed a transformation of the writers role. With a combination of literary, philological, and historical methods, Peter Godman sets the work of major intellectuals during this period in a new light.